All The Right Tools For Success! As a Home Helpers franchisee, you will also have access to invaluable information and advice from other franchisees through our interactive intranet and will benefit from our growing National Accounts program. Best of all, no health care experience is necessary. All you need is the drive to grow a successful business, the desire to help others and the ability to follow our proven systems. No one else can offer you this! As an added bonus, you may be eligible for a Direct Link® In-Home Emergency Monitoring franchise FREE of charge ($18,900 value). 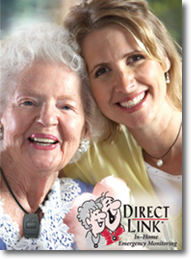 Direct Link allows seniors to feel safer, live independently and remain in the comfort of their own homes. With Direct Link, you can create long-term wealth based on residual income. It's a perfect business to grow along with Home Helpers. Plus, no additional employees are needed. Home Helpers® has been ranked #1 Senior Care Franchise in North America as well as "Best of the Best" by Entrepreneur magazine in 2006, 2007, 2008 and 2009. For more than a decade, we've provided outstanding non-medical and personal in-home care for Seniors, New Moms, those recuperating from illness or injury and those facing lifelong challenges so they may live comfortably and independently in their own homes. As a Home Helpers franchisee, you'll own a business you can truly feel good about offering services that are in high-demand and are greatly appreciated. 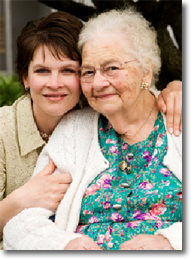 The demand for senior care is huge and is only going to get bigger. In fact, as Baby Boomers and their parents age, the number of Seniors who need non-medical and personal care will more than double by the year 2030. A Home Helpers franchise is a low-cost, home-based, recession-resistant business providing quality care for others while giving you the lifestyle you've wanted. No health care experience is necessary because the care services you provide will be carried out by the professional Caregivers you hire. This allows you to focus your time and energy on building a profitable business. 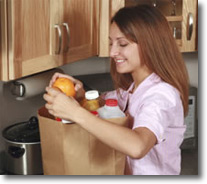 Home Helpers has more than 25 years of franchising expertise to ensure our franchisees' success. Our CEO has developed numerous National Franchise Systems, most of which have gone on to become #1 in their respective fields. Combined, these companies have awarded more than 3,000 franchises worldwide and have been recognized by prestigious national publications including The Wall Street Journal, Entrepreneur, Small Business Opportunities, Black Enterprise, and Inc. as well as CNN Financial News and many more. Interested parties should have at least $30,000 liquid capital to invest. 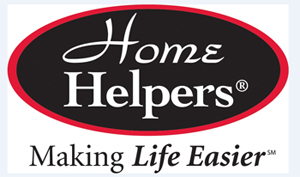 Click on Request Information for FREE info on how to open a Home Helpers franchise today! Please Note: This Home Helpers franchise opportunity and other franchise business opportunities, businesses and franchises for sale on this web site are not to be considered as an "offering", "franchise offering", suggestion or recommendation by Franchise Leader™. This advertisement depends entirely on the truthfulness of the information provided by our advertisers which includes, but is not limited to, franchisers, franchise brokers, franchise consultants and business brokers. Franchise Leader™ recommends that you consult a lawyer, financial consultant, accountant or professional advisor before buying a franchise or business opportunity or any type of business. By using this form or any part of our website, you have agreed to all terms and conditions of Franchise Leader™. Please review our Terms & Conditions for more information.